Podcast hosts Ikhlas Saleem and Makkah Ali are trying to change America's perception of Muslims. Muslims all over the world celebrate Ramadan this month. The holy month began two weeks ago. Muslims fast during this time to commemorate the Islamic prophet Muhammad's first revelation about the Quran. "Identity Politics" podcast hosts Ikhlas Saleem and Makkah Ali are trying to change the misconceptions about what it means to Muslim in America. On Second Thought producer Fenly Foxen speaks with Ikhlas Saleem and Makkah Ali. 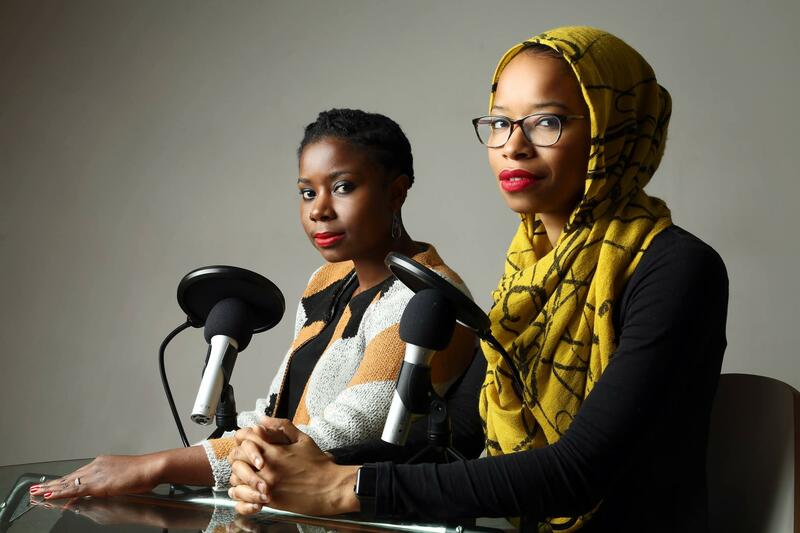 Saleem is based in Atlanta and Ali is in Washington, D.C. On Second Thought producer Fenly Foxen spoke to them about being black, Muslim and women in America.